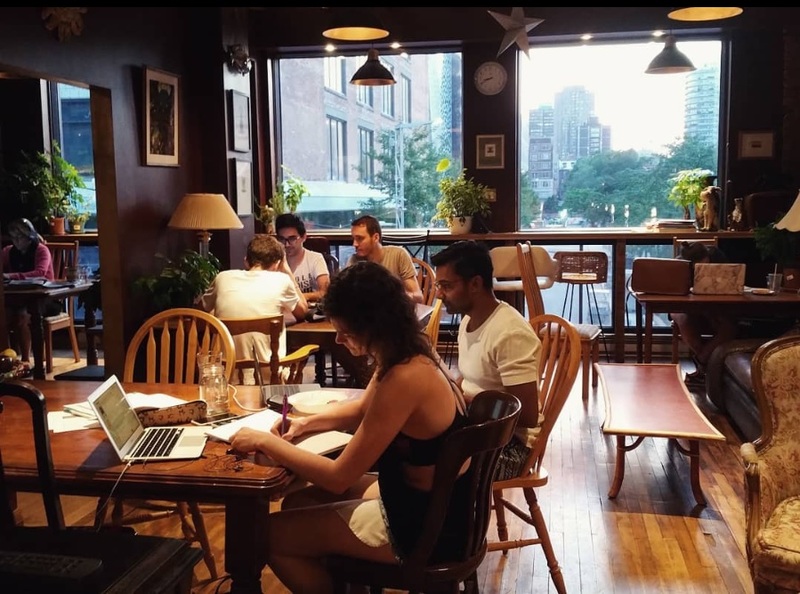 Montréal is one of Canada’s great student cities, and it also happens to have a fantastic café culture. What do you get when you combine the two? Plenty of excellent cafés around Collège Greystone Montréal! If you’re taking the Attestation of College Studies (ACS) in International Business Management Program, we invite you to head out with your friends and classmates, grab a snack and a “café au lait ” (coffee with milk in French), or get some private study time while enjoying the buzz of the city. Changing your study scene is a great way to maintain your focus and keep you on track, and also lets you experience the local culture. 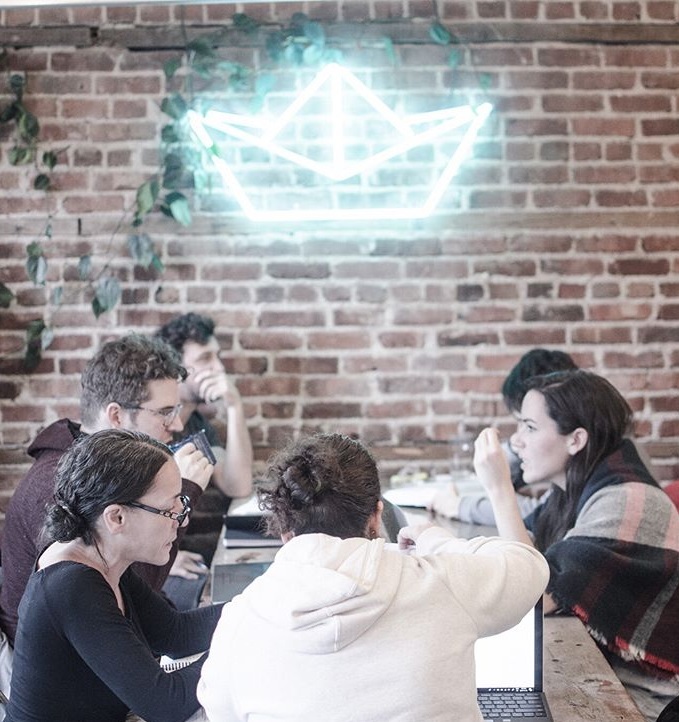 This cool coworking space is ideal for gathering with your classmates. Pay for the time you’re there and get unlimited tea, coffee, and cookies. Anticafé Montréal costs $3 per hour, up to a maximum of $10 per day, which is friendly for the typical student budget. While the Anticafé is mostly a collaborative café workspace, they do occasionally host arts and culture events. Café Vibe: Cozy, quiet, and great for collaboration. 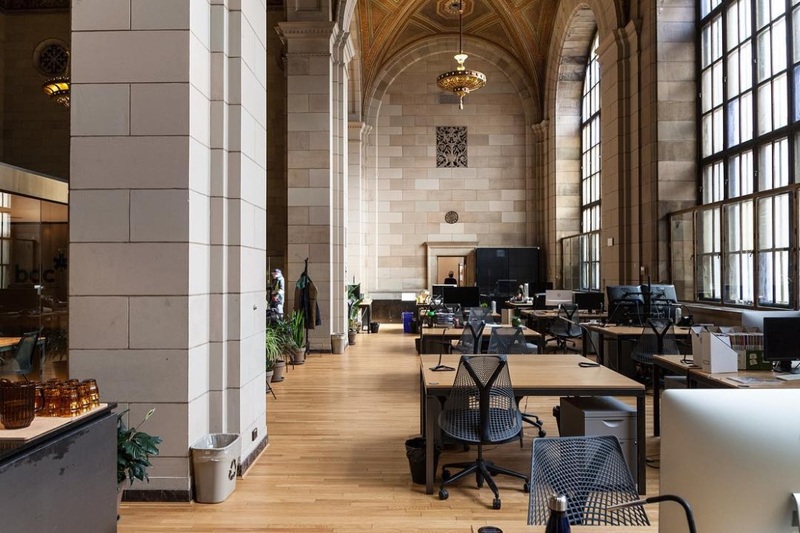 Where to find it: 406 Notre-Dame St. East, just 15-minute walk from Greystone College Montréal. 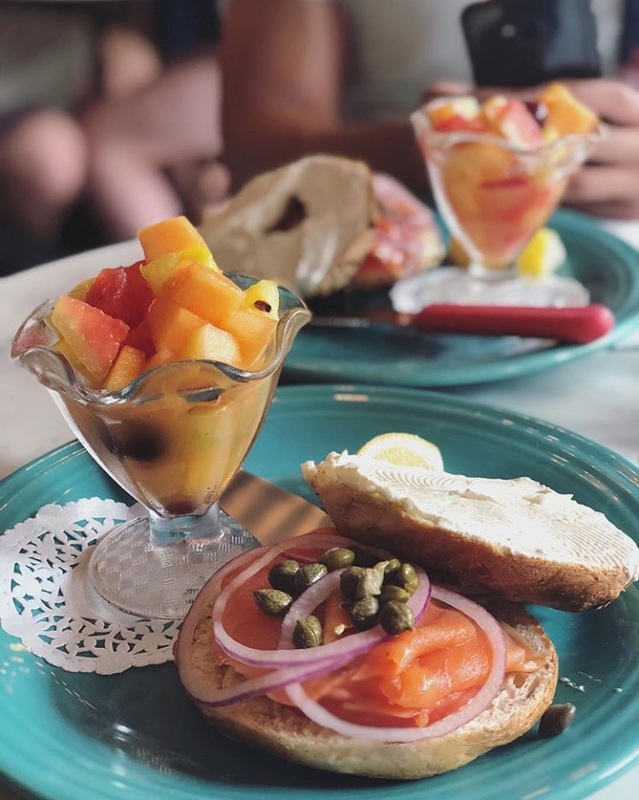 St-Viateur Bagel & Café is the place to taste famous Montréal style bagels from one of the city’s longest-running and most famous bagel shops. St-Viateur has multiple locations, but the sit-down café in Mont-Royal is a great place to enjoy a traditional taste of Montréal. Where to find it: 1127 Avenue du Mont-Royal E. is the location closest to the school. Hours: Open 7 days a week, 6 AM to 10 PM (But if you find yourself craving a St-Viateur Bagel at 3 in the morning, some locations are open 24/7). The Crew Collective and Café is a unique café workspace concept. 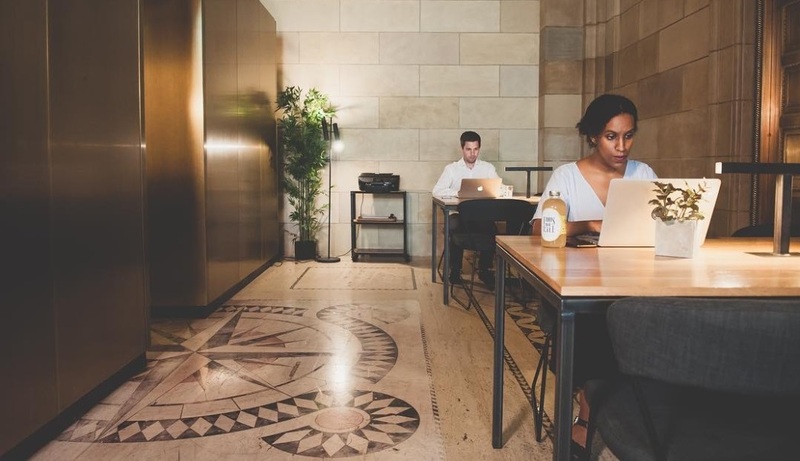 They offer free open wi-fi, plugs under every table, comfortable seating for over 100 people, and delicious, micro-roasted coffee, as well as a full lunch menu. You can even order your drinks online before you come and they’ll bring them to your seat! Café Vibe: Quiet and specially designed for working & studying. Do you work better with music? Café Resonance could be the perfect place for you! This artist-run, cool Jazz café features lots of reading and music events, delicious coffee, vegan meals, and it’s open long hours! After 9 PM, sit back, relax and enjoy a little Montréal jazz. Café Vibe: Artsy and eclectic. Where to find it: 5175A Ave du Parc. Hours: Open 7 days a week, 10 AM to midnight, with music starting at 9 PM. This trendy café offers nitro cold brew coffee, non-alcoholic coffee cocktails, and long tables. It also has good wi-fi for all your online research needs. Paquebot has multiple locations around the city, and even a coffee bike cart in the summer in case you want to grab a coffee and study in the park! Café Vibe: Modern, cool, and good for collaboration. Where to find it: The Paquebot St-Laurent location at 520 St Laurent Blvd is the closest to Greystone College Montréal. Hours: Open 7 AM to 5 PM Monday to Friday, and 9 AM to 5 PM on weekends. These are our top 5 suggestions, but with hundreds of cafés around the city, there are plenty of other great coffee and study locations if you want to change your routine just waiting to be discovered. Try our list, and then go exploring and let us know your favourite cafés around Greystone College, Montréal!